Earlier on this week I wrote about the top ten task within my job and how hectic it can be sometimes as a mom. However difficult it may seem to cope with a extremely full platter it’s still the most rewarding job which I have. 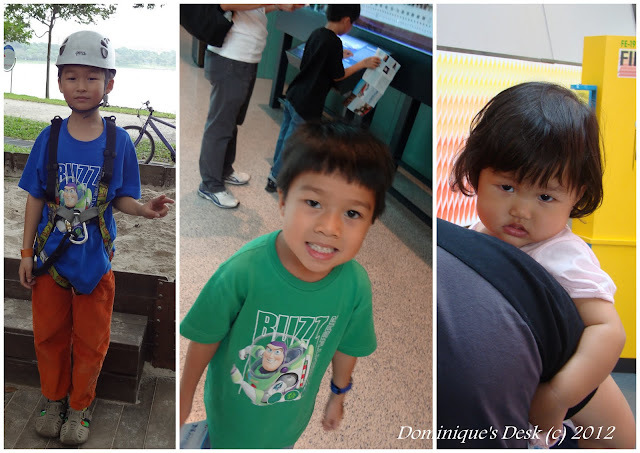 Here is a list of 10 things which I love and am thankful about motherhood. I get to spend most of the time with my 3 darlings. I learn something new each day from the kids. I get to actively participate in their growing up years and shower them with all the love and care that I can offer them. It’s a humbling experience but I do learn how to be a more patient and better person. Learning again from my kids how to enjoy the simplest things in life. It gives you the incentive to learn and do things that you never thought was possible. It makes you sit down and take note of your own actions and how they can impact the kids. You become less impulsive. I get to enjoy hugs and kisses and hear ” I love you” on a daily basis. It’s great being affirmed by your kids that they love you. I get to play dress up and do activities which I didn’t get to do when I was a child. It makes you cherish and enjoy what you have more then when you were not a parent. What’s your best memory about being a mother? Number 5, definitely! It’s witnessing those little moments like stomping in puddles, crunching autumn leaves, or being allowed to stay up a little later and have ice cream… makes me appreciate all those things more too. I love to see my kids smile and that I spend my days with three people who will love me and I will love them no matter what. It is wonderful to teach and learn from your children, I think it’s the best gift in the world! Wonderful list – and so true! I know I am probably a lot older than most of the others here – my children are all grown with children of their own – but I still remember and cherish the process! Thanks for the clarity and honesty. I wish I was learning to be more patient. I used to be more patient when I was teaching obnoxious 8th grade boys than I am with my own 3. At least that’s how I feel! What a great list! There’s nothing quite like being a mother with all it’s ups and downs. One of the best things about being a mom is seeing your children turn into wonderful adults…and then to become a grandma!! Yes, something for you to look forward to. It happens faster than we know! The best part of motherhood is being at home with my children. This is something I’m happy I have been blessed to do for the past 23 years, and I wouldn’t change a thing. My fondest memories are of my small ones sitting next to me, as I read a story to them. They loved story time. It’s an excellent way for mommys and children to bond. I’m eager of grandkids to cuddle up in my lap, so I may read to them. I love your list! ANd oh yes, that #4- so very true! I loved being the mother of small children, but the very best thing about motherhood is having adult children. I can’t tell you what a pleasure they are to me! And oh yes, the grandchildren thing is amazing. I learn from and with my son everyday! It is one of my favorite things about being a mom. Wonderful photos of the kids. I love your list. It’s like soaking up everything about being a parent. 1) the best part of being a mother is when i see how effective my teachings are to the kids. How it helps them make decissions and choices that are better for them. 2) the best moment is seeing them all together, happy, playing and joking around with each other. Great list. i’ve always been grateful that even though it has been a financial struggle, for the most part I have been able to stay home with my kids. The best thing about being a mom is having my kids grow up into people I enjoy being around. They are awesome! I love that I get to once again experience being a child because I get to do all those childish things with my children. I missed out on my childhood having to grow up in an orphanage without love and care, so this is wonderful. 2. I remember the first born. It was that time I truly realize what love feels like. It was awesome! Great list. I agree with you. I feel so blessed that I get to spend all this time with my children. I admire that you appreciate the time you have with your children. So many young mothers I know now just can’t be bothered waiting for their children to grow up. It seems they shove them toward adulthood so quickly just so they can be selfish with their own time. It gives me hope for the future of our world.